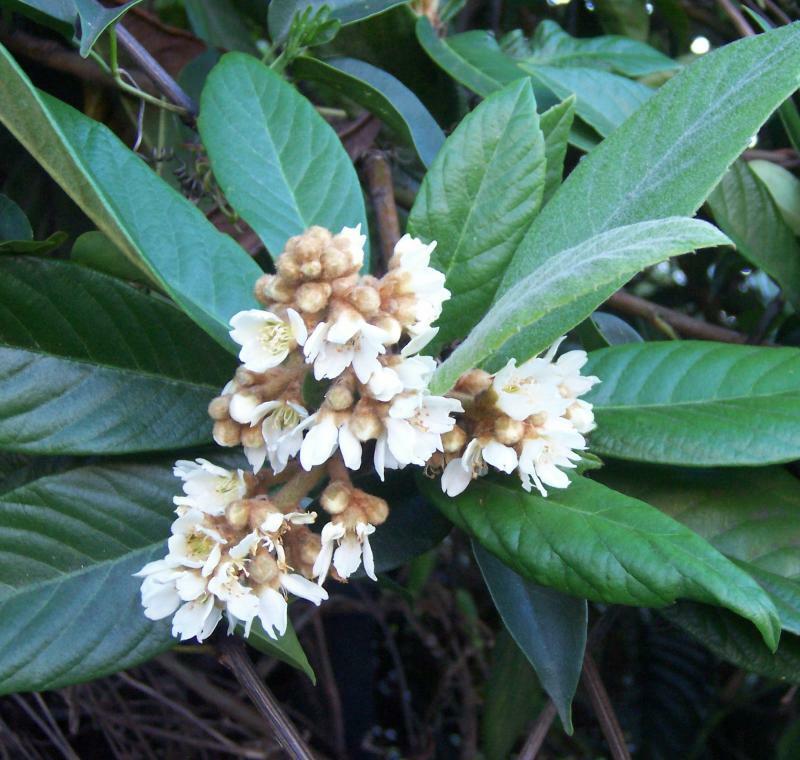 Eriobotrya japonica whose common name is Loquat. A large evergreen shrub or small tree with handsome glossy leaves up to 20cm in length which are brown felted underneath. Sweetly scented white, hawthorn like flowers appear in hot conditions. 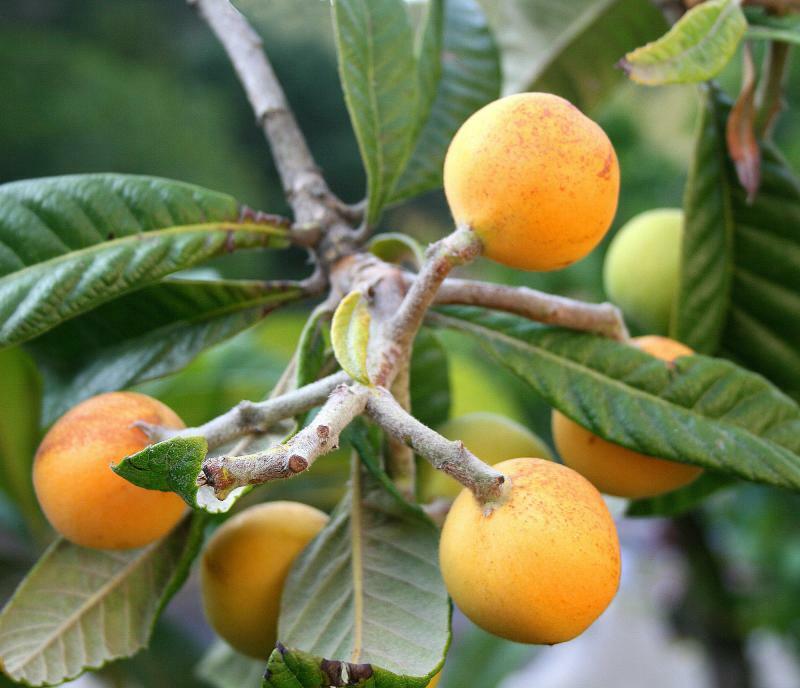 In exceptionally hot years the shrub may produce fruits that are apricot-yellow,and edible, although the fruits seldom ripen in the UK. 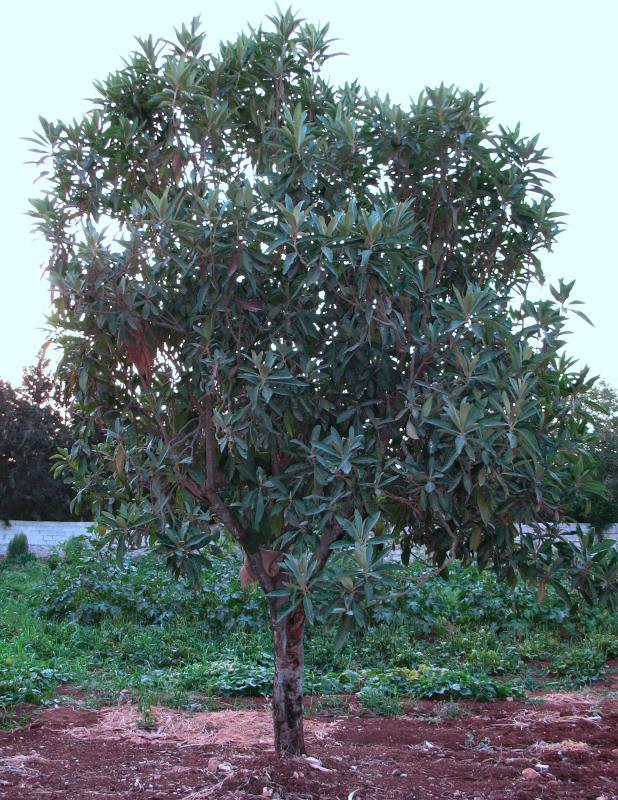 The plant was once considered a glasshouse shrub, but seems to thrive outside in our warmer counties. Needs full sun and a South or East facing aspect with shelter. Requires moderately moist soil. Height 4-8m, spread 4-8m. Supplied in a 9cm pot.